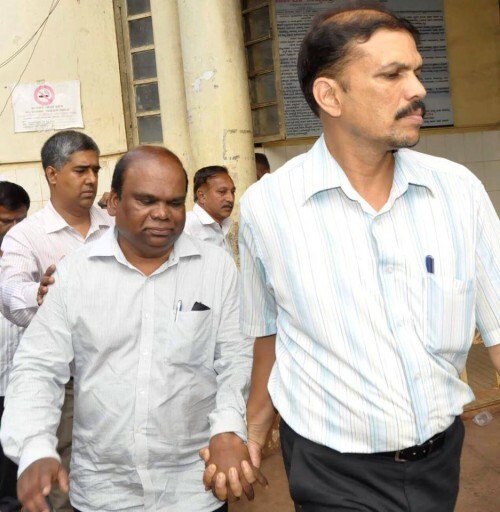 The Central Bureau of Investigation (CBI) team in response to a complaint of a local businessman raided the office of Superintendent of Customs and Central Excise department on Club road and took Ashok Mehatri, attached to Belgaum based Customs and Central Excise department into custody. Sources say that he was taken into custody by the 6 member CBI team acting on a complaint made to them by a businessman Ashok Bangera, in which he had stated that Mehatri was asking for Rs.6000 to be paid every quarter. The New Indian express in its article mentions that he was caught red handed.